As the weather starts to warm up it is fair to say that the idea of spending a night under canvas might not be met with resolute disdain. Suddenly such a thought actually conjures up ideas of halcyon days where the kids forget about their electronics and skip merrily through fields of daisies, making new friends and having new adventures, whilst you and your oh so loved other half cheerfully enjoy a crisp white wine and recreate Jimmy’s BBQ cookbook on a rustic and oh so wholesome firepit…. Yes, you are a glamping goddess! Well, we hear you sister! Far out on the East Coast on the Northern reaches of the Norfolk Broads you’ll find the little village of Hickling and in this wildlife laden peaceful backwater you’ll find the friendliest of little campsites playing host to a 6m luxed out canvas creation which you can call your cosy home, all whilst in the pursuit of peace, tranquility and quality time, that only the great outdoors can so expertly deliver. 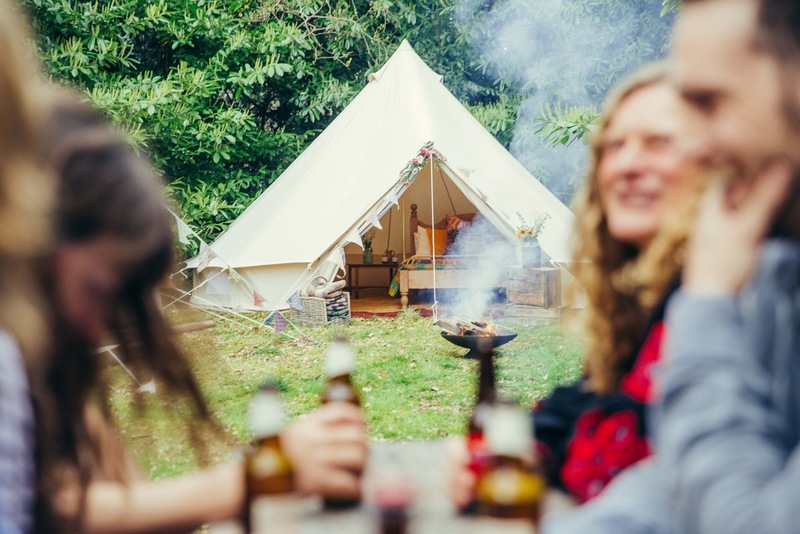 To completely realise your glamping dream we have created a snuggly den big enough to accommodate 6 people, in a standard double bed and two bunk beds that even Uncle Geoffrey will sleep soundly on. Our Bertha (as she is affectionately known) will keep you warm, cosy and dry whilst you get on with worrying about exploring this lesser known corner of Norfolk. On site you have decked out showers and loo facilities, all with oodles of hot running water and none of those annoying push button taps… No, no, no, we’re all about the small creature comforts of home with kitchen sink facilities and a small site shop selling all the necessities for your stay, too. What if the novelty of skipping in daisy fields wears off and you run out of wine?? . . .Well, fear not. Firstly Hickling has two pubs (never known to run out of booze) and secondly there is a plethora of activities on offer and all within walking and cycling distance. Get in touch with your inner John Wayne and see if you can pull off leather chaps (ahem); horse riding lessons can be tried and tested less than 300 yards from your tent door. There is a wild nature reserve to explore or sailing, paddleboarding and canoeing to try your hand at, less an a mile away on Hickling broad. Travel a little further afield and you have the sweeping sandy bays of Sea Palling beach for mastering your sandcastle skills, as well as little known stretches of coastline to discover and the recently extended Coastal Path to plod along. We could wax lyrical about this corner of Norfolk and what can be enjoyed from spending time in the great outdoors, but we’d rather you just experienced it for yourself. Our (Bertha) Bell is pitched and ready for bookings from 27 April – September. Book online or on Airbnb for a special Easter weekend offer with £30 off. Stays starting from just £90 per night for two people sharing.